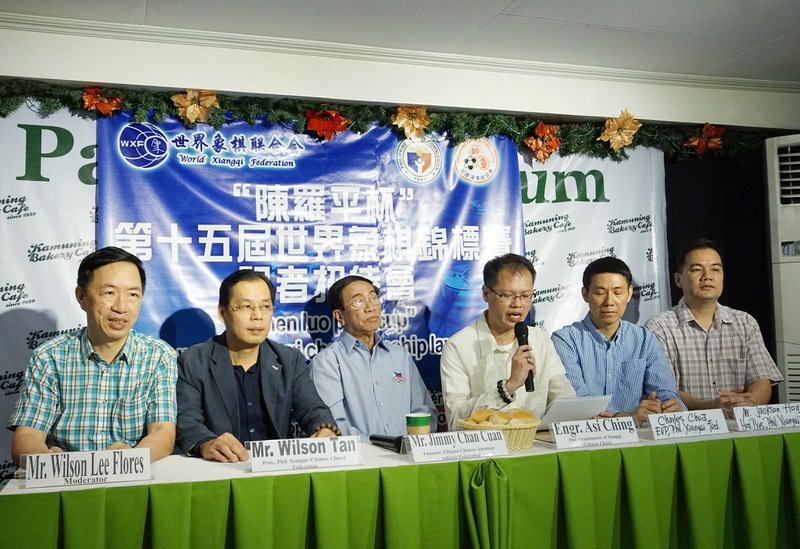 Philippine Xiangqi Federation, supported by the Philippine Sports Commission (PSC) and Filipino Chinese Amateur Sports Federation, on November 8 announced the Philippines’ hosting of the 15th World Xiangqi Championship at the Pandesal Forum with media at 78-year-old Kamuning Bakery Café in Quezon City. They announced this biennial international event will be held on November 14 at the Manila Hotel and with 26 countries competing. The last World Xiangqi Championship was hosted by Munich, Germany in 2015. Xiangqi (pronounced as “xiang-chi”) is a 2,500-year-old ancient Chinese chess game, the event’s hashtag is #ChineseChessManila2017.